Bankruptcy is the last-resort option for many Americans who have accumulated so much debt that interest payments exceed their financial ability. It offers, in essence, an alternative payment scheme. Though it will aversely affect a person’s ability to get credit afterward, it can be the best available choice for many individuals with seemingly insurmountable debt. What is an Indiana Bankruptcy lawyer? 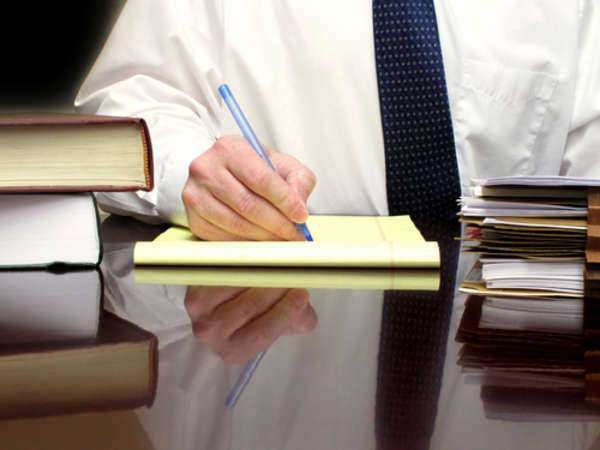 Indiana bankruptcy lawyers are, as the name implies, lawyers who specialize in bankruptcy law. Technically, neither individuals nor companies need to have bankruptcy lawyers in order to file for bankruptcy, but many choose to hire one to make sure that no costly mistakes are made during the filing process. Indiana bankruptcy lawyers may choose to have certificates of specialization in bankruptcy law from the American Board of Certification. However, generally speaking specializations are much less common in Indiana than in other states—a grand total of 125 Indiana attorneys held a specialization in any category in 2004, versus over 6,000 such attorneys in Texas—so don’t be dismayed if your Indiana bankruptcy lawyer doesn’t have an official certificate. Individuals can file for either Chapter 7 or Chapter 13 bankruptcy. Different procedures are done under each type, and most individuals are only eligible for one or the other. If you have questions about which one is applicable for you, contact an Indiana bankruptcy lawyer. • Chapter 7: In this type of bankruptcy, a person’s worthy is liquidated in order to pay off existing debt. It is the simpler of the two types of bankruptcy, and can prove to be the best solution if credit cards are your main source of debt. However, it does little to protect property. In order to qualify, your income level must be either below the national median or you must qualify under the Indianapolis Bankruptcy Means Test which measures your disposable monthly income. • Chapter 13: This type of bankruptcy creates a three-to-five year payment plan during which time you can pay off debt without having certain eligible property, such as your home, removed from your possession. This is often the better option for individuals whose principle debt is not due to credit cards but mortgages, taxes, or student loans. Chapter 11 Bankruptcy is mainly available for businesses. Perhaps the most complex of the major types of bankruptcy, it usually requires the services of at least one Indiana bankruptcy attorney to be done properly. • Businesses that apply for Chapter 11 bankruptcy reorganize there businesses to become more profitable. They will submit a repayment plan for owed debt to a court which will observe the repayment process. Some amount of leeway is provided for businesses to keep property that was borrowed against and to repay back taxes. • Some individuals may also apply for Chapter 11 bankruptcy. These individuals usually have too much income to file for either Chapter 7 or Chapter 13 bankruptcy, but, perhaps as a result of ill-advised forays into real estate or other businesses, they’ve accumulated large amounts of debt. As with Chapter 13 bankruptcy, a three-to-five year payment plan is devised and overseen by the court. Filers may be allowed to cancel some leases or mortgages. You may want to hire an IN bankruptcy lawyer, even if you’re not sure if you’re going to file for bankruptcy, if you’re facing a creditor lawsuit. Since IN bankruptcy lawyers know quite a bit about the issues at stake in such cases—legal debt, wage garnishments, how to properly calculate disposable income—they can be excellent choices for representation. However, if your finances indicate such a course, a good Indiana bankruptcy lawyer may advise filing for bankruptcy to combat such a lawsuit, since bankruptcy filing stops creditors from bringing further legal action against you. • You may just want to start by asking the people around you if they know of a good bankruptcy lawyer. Bankruptcy filings are more common than most people realize, and the chances are that someone you know has filed for bankruptcy before and can recommend an IN bankruptcy lawyer. • Calling a referral service will get you recommendations for prescreened Indiana bankruptcy lawyers near where you live. When you call any referral service, the call will begin with the interviewer asking about your own legal needs. The service will then pair you with an IN bankruptcy lawyer well-suited to you. Unlike in many states, there is no official referral service run by the Indiana State Bar Association. • Some IN bankruptcy lawyers advertise in magazines or on television. Sometimes groups of attorney share advertising space in order to cut down individual costs in what is referred to as a joint advertising group. • Available at any library, the Martindale-Hubbell Law Directory gives a list of lawyers across the country by region and practice. This should make it easy to find an IN bankruptcy lawyer to help you get out of debt. Some individuals filing for bankruptcy may be eligible for free or low-cost legal aid. The Indiana State Bar provides some services through the Indiana Pro Bono Commission. Filing for bankruptcy is such a difficult and emotionally-charged process that it should be little wonder if a filer ends up butting heads with their Indiana bankruptcy lawyer. Sometimes, however, serious ethical and professional mistakes can be at the heart of these disagreements. You are trusting your Indiana bankruptcy lawyer with your future income and debt; if you believe that they are stealing money from you, lying to you, or making legal mistakes that have injured your case, there is recourse available. Call the Disciplinary Commission for the Supreme Court of Indiana at (317) 232-1807 and file a complaint against your Indiana bankruptcy lawyer.